Stephen and Shannon O’Bent are PepperJill & Jack. They are joining us from Astoria, Queens, New York (via Greenwood) and they say that they play “Songs about travel, love, the Beatles, trombonists, birthdays, and breakfast. 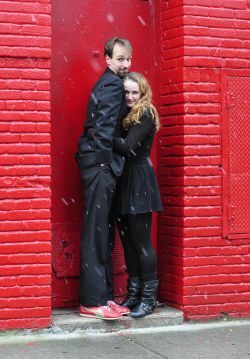 Like the guy and girl from ‘Once’ but sillier.” They are well loved members of our extended family, by way of the New Old Time Chautauqua (and there’s even Flying Karamazov Brothers in their bloodline). This’ll be fun!